Successfully Added NO.1 G8 Phone Watch - 1 IMEI, Bluetooth 4.0, Sleep Monitor, Pedometer, Sedentary Reminder, Heart Rate Monitor, App Support to your Shopping Cart. Enter the 21st century with the NO.1 G8 watch phone. This cool electronic gadget allows you to engage in phone calls and send texts straight from your wrist. From now on, you’ll no longer have to carry along your phone in order to stay connected to friends and family. Simply insert your SIM card into this phone watch, and you’ll be able to enjoy all regular smartphone features from your first. No matter where you’ll be heading, with this smartwatch at your side, you’ll be within reach for friends and family. Thanks to its 380mAh battery, it treats you with up to 2 hours of continuous talking time and 100 hours of standby time. This is enough to get you through multiple days without needing to worry about battery life. Besides using this phone watch with its own SIM card, you’ll also be able to pair it with your other iOS or Android phones through Bluetooth. When synchronized, your smartwatch will notify you when you receive an incoming phone call, message, or social media notification. Naturally, all these calls and texts can be answered straight through your watch without needing to dig through your bag in order to find your cell phone. The 1.3-Inch display brings along crisp and clear visuals for you to enjoy. 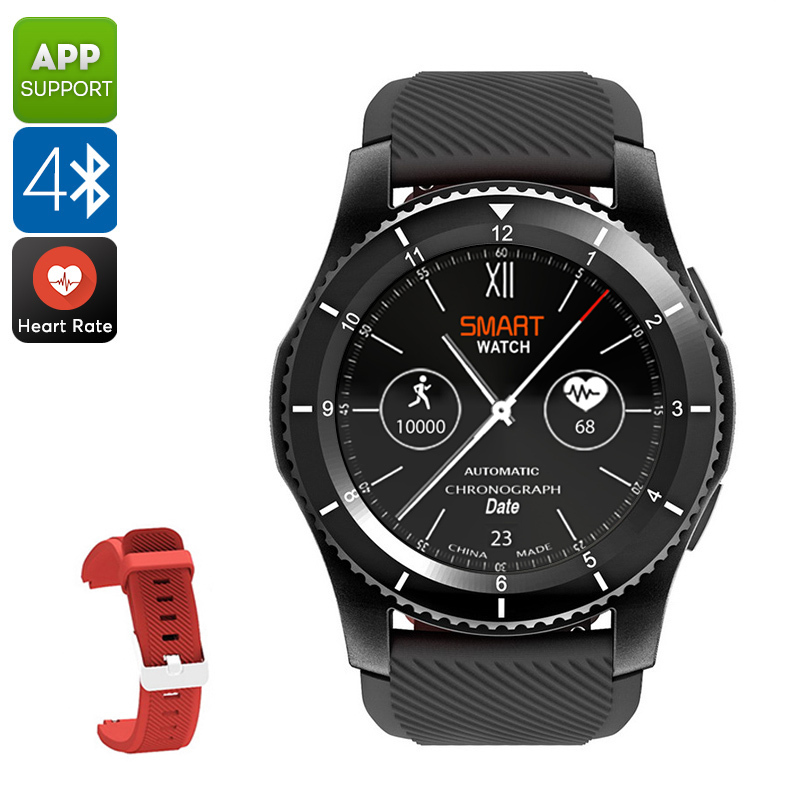 Along with its great connectivity, this Bluetooth watch also comes packed with an abundance of smart health features. Its accurate pedometer keeps you constantly up to date about the number of steps that you have taken throughout the day. Additionally, it also tells you the distance you have covered to make sure you’ll always meet your daily activity levels. Besides that, the NO.1 G8 sports watch also comes with a sleep monitor, heart rate monitor, and sedentary reminder. With all these sports features in place, your Bluetooth watch allows you to finally meet your future fitness goals in the fastest and most efficient manner.